A new lawsuit accuses the California Department of Health and Human Services of deliberately turning a blind eye to the illegal practice of taking nursing home residents who receive state aid and “dumping” them into the hospital system by refusing to let them return, even under binding orders to readmit them. The complaint [PDF] was filed today in a federal court in San Francisco by non-profit organization California Advocates for Nursing Home Reform on behalf of three nursing home residents who receive Medi-Cal (California’s Medicaid) benefits. 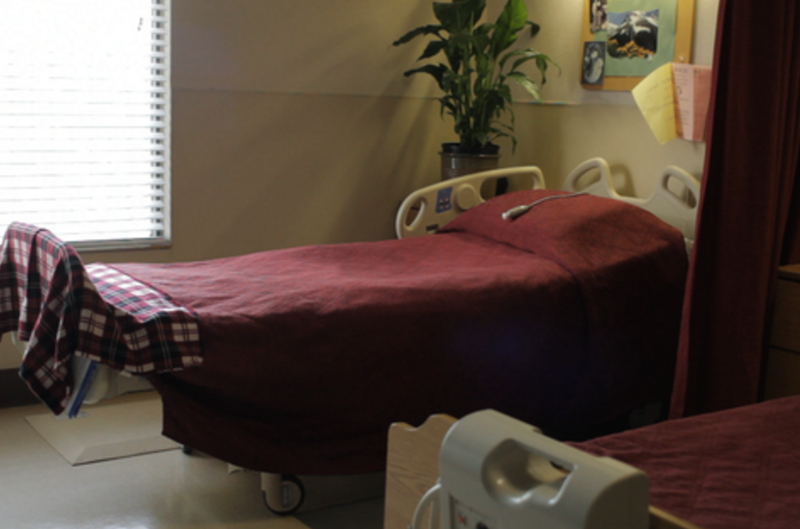 It names Diane Dooley, California Secretary for Health and Human Services, as a defendant, and alleges that the state is complicit in keeping nursing home residents on Medi-Cal from returning to their homes after being temporarily hospitalized. “Facilities do this to increase revenues and make space for more lucrative Medicare and private pay residents,” contends the lawsuit. In fact, the three plaintiffs in this case say they have each been granted favorable judgments through the readmission process, but that none of them have a place to call home like they did before being hospitalized. One plaintiff won his readmission hearing on July 15. Since then, according to the complaint “in a hospital bed and chemically restrained with mind-numbing drugs” because the state allegedly refuses to enforce its own order. The second plaintiff has been waiting even longer — since June 26 — for the state to enforce the outcome of his readmission hearing. In the months since, he says he’s been “warehoused” at a hospital where “He is not engaging in any therapeutic or social activities” because his nursing home refuses to take him back and the state won’t intervene. CANHR pointed out that the state could indeed choose to enforce its orders and that a nursing home’s failure to follow a readmission order is a breach of the Medi-Cal Provider Agreement for Institutional Providers, punishable by temporary suspension from receiving Medi-Cal funds. And yet, the agency continued to maintain that it lacked this authority. The advocates finally met with Secretary Dooley in early October. According to the complaint, she said at the time that the state was “doing something” to fix the problem, but provided no additional details. CANHR claims that the delays and unenforced orders aren’t the result of bogged-down bureaucracies, but are instead financially motivated efforts to increase revenue for nursing home operators. So when an unscrupulous nursing home has the opportunity to “dump” a resident on to a hospital, it just might take it, argue the plaintiffs. Even if you have no sympathy for elderly Medi-Cal recipients spending too many of their golden years in a hospital bed when they don’t have to be, the lawsuit also drives home the huge cost that alleged granny-dumpers can have on taxpayers. A Medi-Cal recipient at a skilled nursing facility costs around $190/day, a little more than one-tenth the $1,800/day cost to have that same patient warehoused in a hospital bed. Obviously, if the person needs to be hospitalized for legitimate medical reasons, that additional cost may be justified. But if the person is just getting the exact same care they’d receive at the nursing facility, then it can be a real drain to taxpayers. Using the example of the plaintiff who has been waiting since June to return home, the lawsuit estimates that nearly $220,000 in taxpayer has been spent keeping him out of a more affordable nursing facility. CANHR alleges that this isn’t anything new or rare, but that the state has been failing to follow its own rules for a decade, putting California taxpayers on the hook for tens of millions of dollars. And it may be difficult, if not impossible to calculate the exact cost because not every “dumped” nursing home resident knows or understands their rights under the law. The lawsuit seeks an injunction against the state’s continued lack of enforcement on its own hearing orders, along with unspecified damages and legal costs.